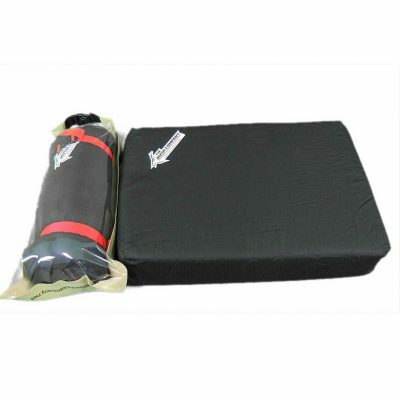 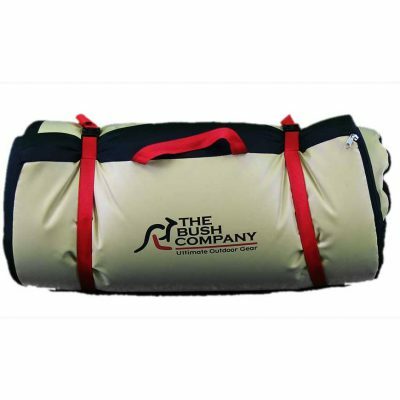 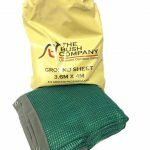 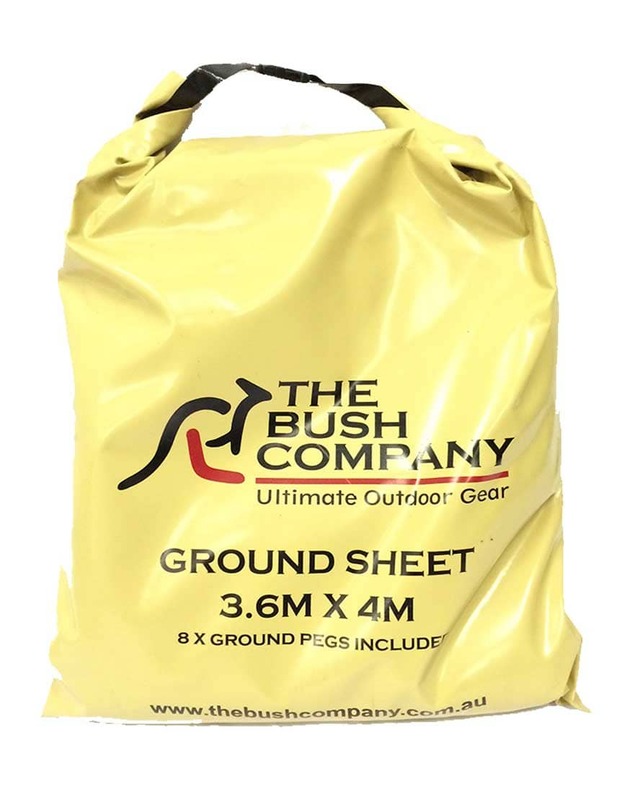 Strong and durable, The Bush Company Ground Sheet is an extremely versatile addition to your camp kit, and is Ideal as a floor saver under your tent, in the living spaces of your camper trailer/caravan or even in the backyard under kids pools and water slides. 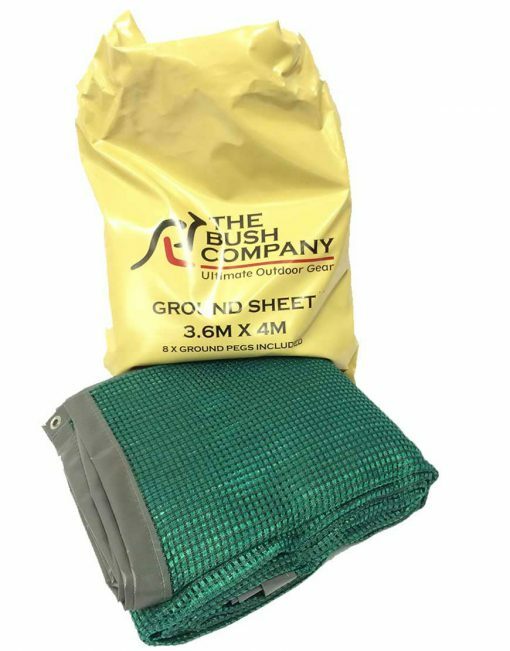 Using the ground sheet helps to keep your campsite living space cleaner and drier, and provides a great base for annexes. Reinforced with reinforced PVC edging along the perimeter on all sides, and featuring non-corrosive brass eyelets, The Bush Company ground sheet is UV stabilised and comes complete with a dry bag and 8 pegs. 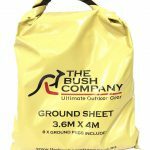 If required the ground tent can also double as a shade sail or wind break.